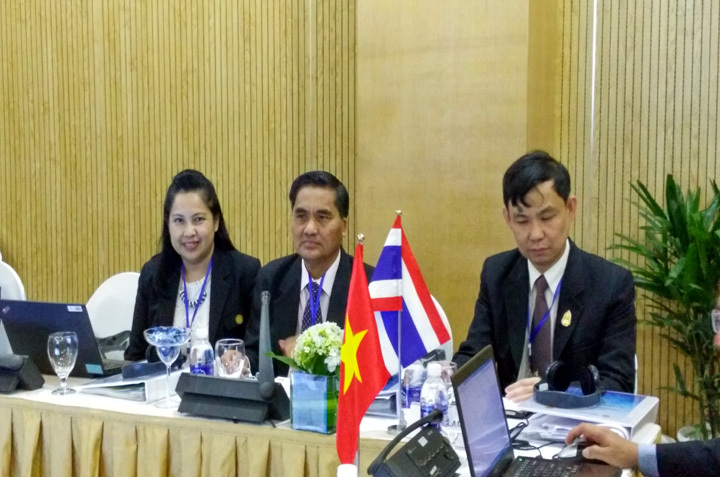 The 17th ASEAN Occupational Safety and Health Network (ASEAN-OSHNET) Coordinating Board Meeting (CBM) was chaired and convened by Viet Nam on 26-27 April 2016 in Da Nang City. The Meeting was officiated by H.E. Doan Mau Diep, Vice Minister of Labour, Invalids and Social Affairs of Viet Nam. 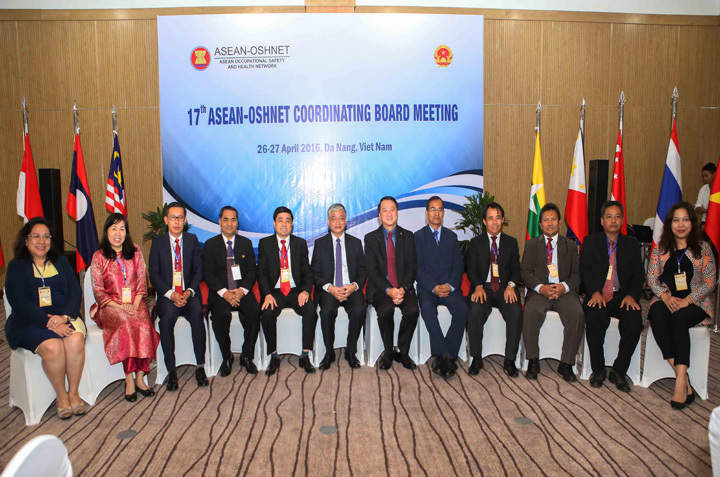 The status of ASEAN-OSHNET’s initiatives in the programme areas of information, training, research, standards, inspection, national OSH framework, and small- and medium-size enterprises (SMEs) and informal economy was reviewed at the Meeting. The ASEAN-OSHNET website (www.aseanoshnet.org) was enhanced and ASEAN-OSHNET Scorecard had been updated by Thailand as the country coordinator. The ASEAN-OSHNET Scorecard includes data on national policy and strategy, national programme, national OSH systems, occupational accidents, and occupational and work-related illness. 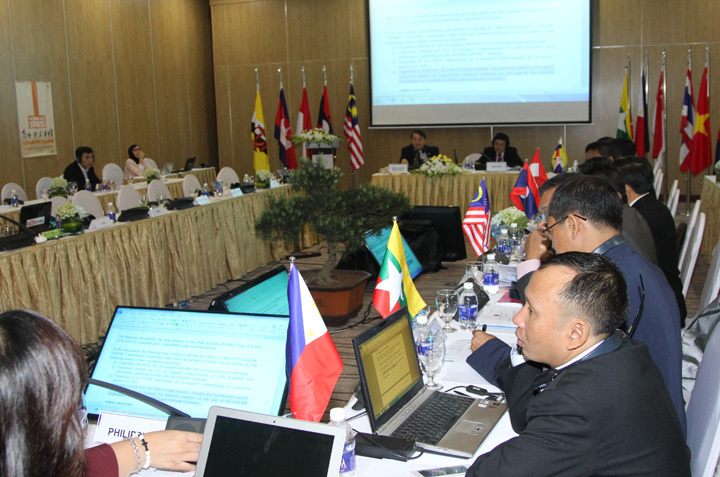 The national OSH profiles of ASEAN Member States continued to be updated under the coordination of Viet Nam. Those national OSH profiles would continue to be updated by using the ILO Convention 187 (promotional framework for OSH) as a framework. The results of a regional survey on general and specific topics of ASEAN Member States’ training needs and expertise that can be offered to others were reported by the Philippines for ASEAN-OSHNET’s capacity building strategy in future. Singapore remained committed to offer other ASEAN Member States customized trainings on labour inspection in Singapore and its experts who could be dispatched for labour inspection trainings overseas. Trainings in Singapore continued over the years including the most recent ones by Thailand and Viet Nam in 2015. In a similar vein, Indonesia also reported the potential topics of joint researches identified by ASEAN Member States. As a response, a regional research on risks and economic benefits of OSH was planned by Indonesia in collaboration with Singapore. Follow-up to the development of the ASEAN Guidance Note on OSH Management Systems for SMEs under the coordination of Malaysia, a regional training was planned to socialize and promote implementation of the Guidance Note in collaboration with the Philippines. The draft ASEAN-OSHNET Plan of Action 2016-2020, developed at the Policy Dialogue in Singapore in February 2016, was finalised at the Meeting. Nineteen projects and activities under the thematic areas of strengthening labour inspection, OSH standards and capacity, and HIV prevention and control in the workplace were planned for implementation in five years. To name a few, a common checklist for OSH inspection standards and an ASEAN risk management guidebook focusing on SMEs would be developed; annual national OSH campaign activities would be featured on the ASEAN-OSHNET website for public awareness raising; and the existing injury compensation institutions in ASEAN Member States would be listed for networking and joint activities in future. The ASEAN-OSHNET members planned to participate at the 21st World Congress on Safety and Health at Work that would be hosted by Singapore on 3-6 September 2017 and the 35th Asia and Pacific Occupational Safety and Health Organisation (APOSHO) that would be hosted by Malaysia in 2020. In the area of HIV prevention and control in the workplace, the work of the ASEAN Business Coalition on HIV/AIDS (ASEAN BCA) continued since its establishment in 2014 under the coordination of Indonesia. 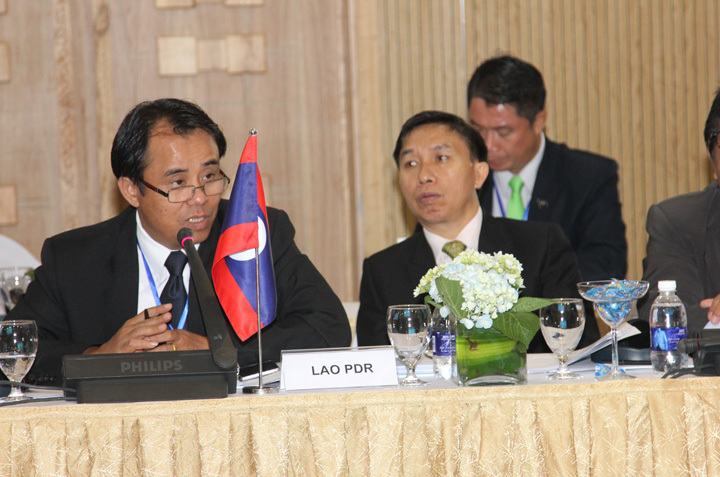 The ASEAN Guidelines on Essential Workplace Action for Enterprises on Prevention and Management of HIV and AIDS was finalised by the Meeting for adoption at the 12th ASEAN Senior Labour Officials Meeting (SLOM) on 11-12 May 2016 in Vientiane, Lao PDR. The First ASEAN Red Ribbon for Outstanding Workplace Awards (ARROW) was scheduled for September 2016 in Indonesia. Representatives of the International Labour Organization (ILO), International Association of Labour Inspection (IALI), International Section on Prevention in the Mining Industry (ISSA Mining), State Administration of Work Safety of China (SAWS), and Ministry of Health, Labour and Welfare of Japan (MHLW) shared information and experiences on various aspects of OSH. 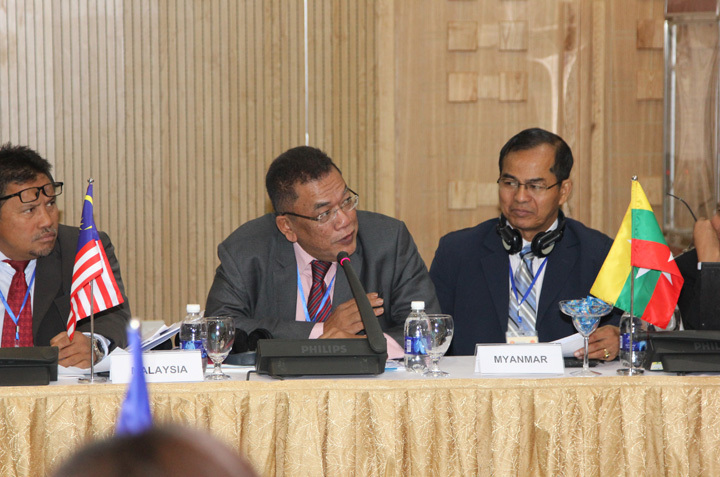 The ASEAN-OSHNET’s future collaboration in areas of mutual interest was also explored with those partners. 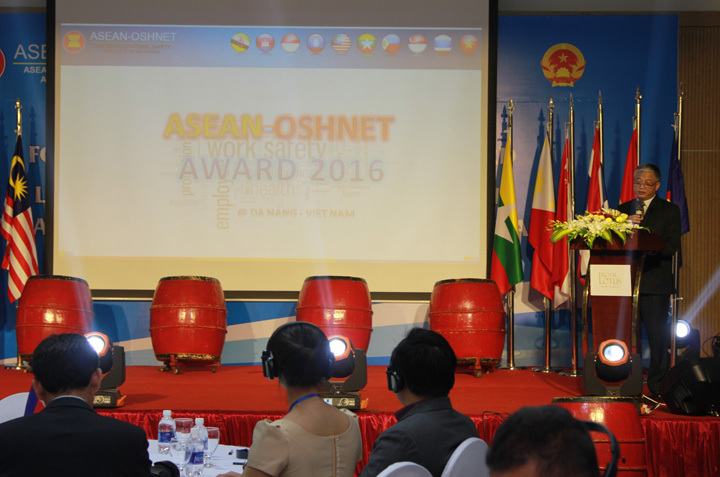 On 27 April 2016, the First ASEAN-OSHNET Award Ceremony was convened. 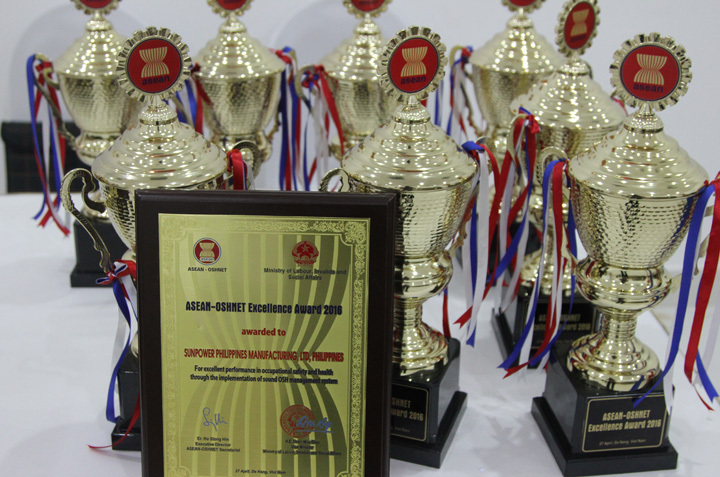 Fourteen companies from eight ASEAN Member States were jointly awarded by H.E. Doan Mau Diep, Vice Minister of Labour, Invalids and Social Affairs of Viet Nam and H.E. Er Ho Siong Hin, Commissioner for Workplace Safety and Health of Ministry of Manpower of Singapore, for the two categories of Excellence Award and Best Practice Award. Cambo Hong Xing International Knitting Co. Ltd. (Cambodia), PT Perusahaan Gas Negara (Indonesia), BP Petronas Acetyls Sdn. Bhd. (Malaysia), Fame Pharmaceuticals Industry Co. Ltd. (Myanmar), Sunpower Philippines Manufacturing Ltd. (The Philippines), Infineum Singapore Pte. Ltd. (Singapore), Charoen Pokphand Foods Public Co. Ltd. (Banpru Feed Mill) (Thailand), and Ba Son Corporations (Viet Nam) were awarded for the excellence on OSH. Gusteam Corporation Sdn. Bhd. (Malaysia), Proven Technology Industry Co. Ltd. (Myanmar), Myler Agribusiness Incorporated (The Philippines), Teambuild Engineering & Construction Pte. Ltd. (Singapore), Minor Cheese Limited (Thailand), and Ha Tien Cement Joint Stock Company (Viet Nam) were awarded for their best practices on OSH. 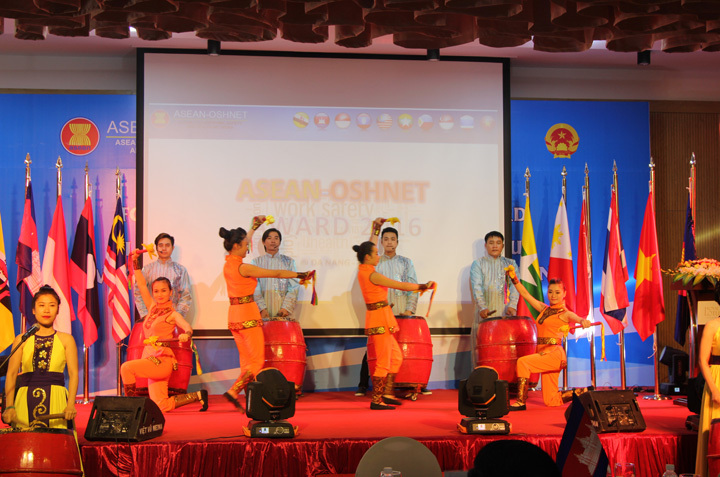 The ASEAN-OSHNET Award aimed to showcase, recognize and reward companies with excellent OSH achievements, and to inspire further improvement on OSH which would build a positive image for ASEAN in the process of attracting greater foreign investments. 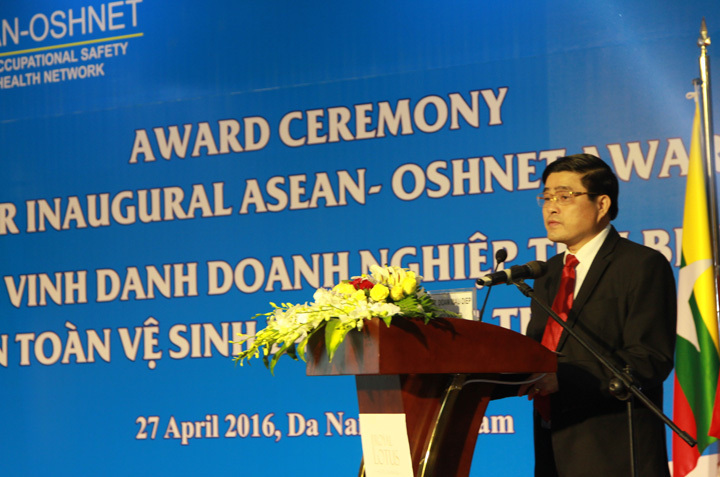 The Second ASEAN-OSHNET Award was planned for 2018. The Third ASEAN-OSHNET Conference and MOLISA/ILO/ASEAN-OSHNET Workshop were convened on 28 April 2018. Over 100 representatives of companies and government officials from ASEAN Member States as well as workers’ organisations from Viet Nam participated in the Conference. ASEAN Member States shared experiences with one another, including on the role of a national tripartite committee/board for OSH improvement, OSH programme for workers especially youth, and OSH awareness raising in informal sector. The Conference will continue to be convened in conjunction with the annual ASEAN-OSHNET Coordinating Board Meeting as a multi-stakeholder platform to share information and exchange views on OSH among ASEAN Member States by leveraging their respective best practices. More in this category: « The ASEAN-OSHNET Policy Dialogue 2016 "Futuring ASEAN-OSHNET"